We're only a few weeks away from the launch of Puyo Puyo Tetris! Before the main course comes, how about an appetizer to tide you over? 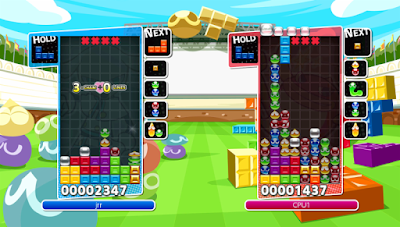 That's right, the Puyo Puyo Tetris demo is now available to download on the Nintendo eShop. It offers just enough to get you hooked on the colorful madness that is popping Puyos and clearing Tetriminos! If you're looking to sharpen up your Puyo skills, check out these instructional videos created by expert player Phong Tran!